a. 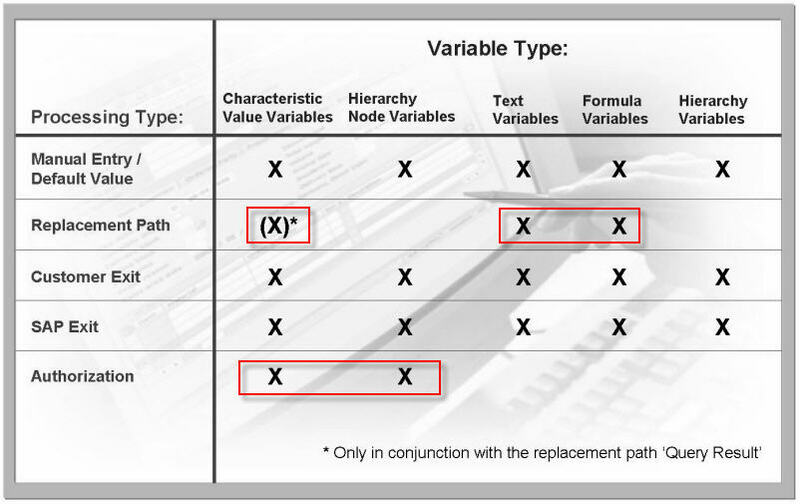 Text variables and formula variables with the replacement path processing type replaced by characteristic value. b. 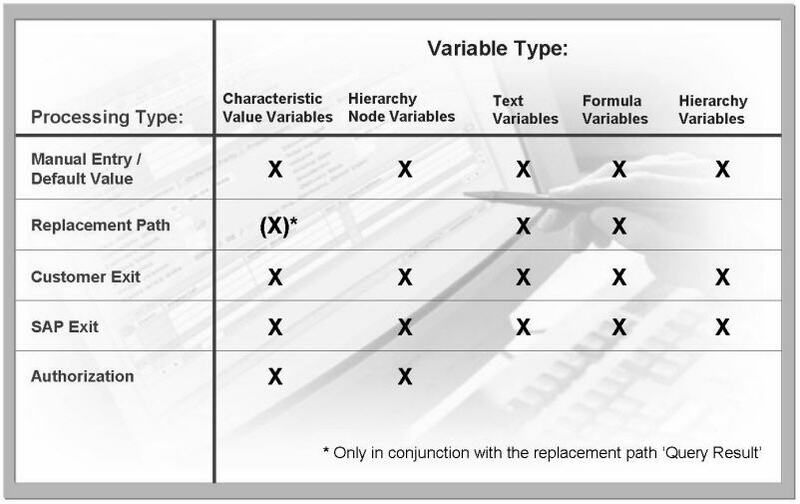 Characteristic value vriables with the replacement path processing type replaced by query result. Create a project in tcode CMOD by selecting SAP enhancement RSR00001 and assigning this to enhancement project. Activate project. Tcode SMOD. Enter name of enhancement (RSR00001), choose Documentation then Edit Display/Change.